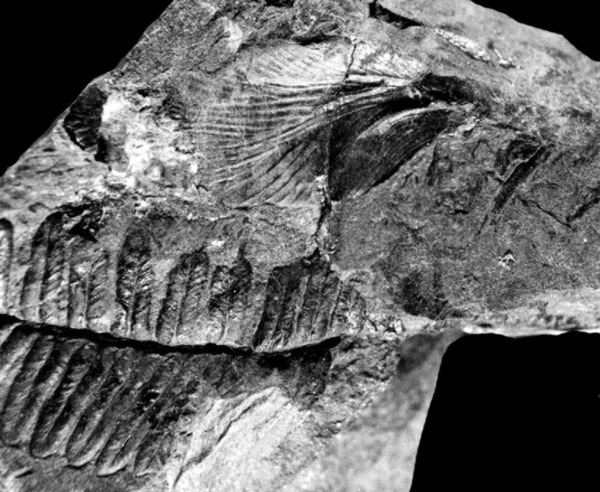 A Carboniferous, probably Stephanian, cockroach wing collected from Secu, South Carpathians, in 1996, still under study (upper side of the photograph), together with Pecopteris sp. (lower side of the photograph). Popa collection.